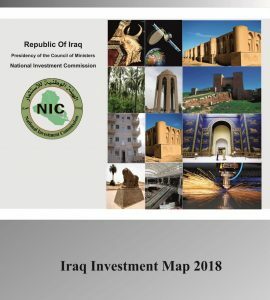 The Ministry of Sports and Youth, in conjunction with Iraq’s National Investment Commission (NIC), is proud to announce several development opportunities at the Basra Sports City. Construction has already begun at the Basra Sports City complex, which will host the 21st Gulf Cup (Khaleeji 21) in December of 2012. The focal point of the project is the impressive, 65,000-seat Main Stadium which is surrounded by water and accessible to patrons by bridge. The 360-acre complex, designed to be one of Iraq’s major sports centers, will also contain a smaller stadium, practice facilities, a training complex, a swim center, and other facilities. Master plans call for a canal that intersects the complex leading from the sport facilities to a commercial district complete with hotels and commercial space. 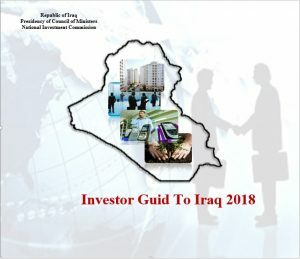 To complete the development, the Ministry of Youth and Sports and the National Investment Commission are seeking interested and experienced investors/developers to construct hotels, commercial space, and entertainment facilities within the Basra Sports City complex. Details of the areas available for development according to the master plan are included in the table below. Master development plans call for the construction of two full-service, 5-star hotels on the edge of the Sports City. Each hotel should have a capacity of no less than 500 people, and have unique, sophisticated architecture. Approximately 10,000 square meters have been allotted for each hotel development. Over 5,000 square meters has been allotted for the construction of lodging for VIP delegations, visiting sports teams, and student visits. A total of over 10,000 square meters has been set aside for retail in four commercial malls along the canal between the stadium and the hotel sites. Space has also been allocated for the construction of various entertainment services including an amphitheatre for concerts and cinema, parks and playgrounds, a bowling alley, dining facilities, an internet café, a pool, and other entertainment areas.